WaveForms Live is the browser or web-based application software interface designed for the OpenScope MZ. 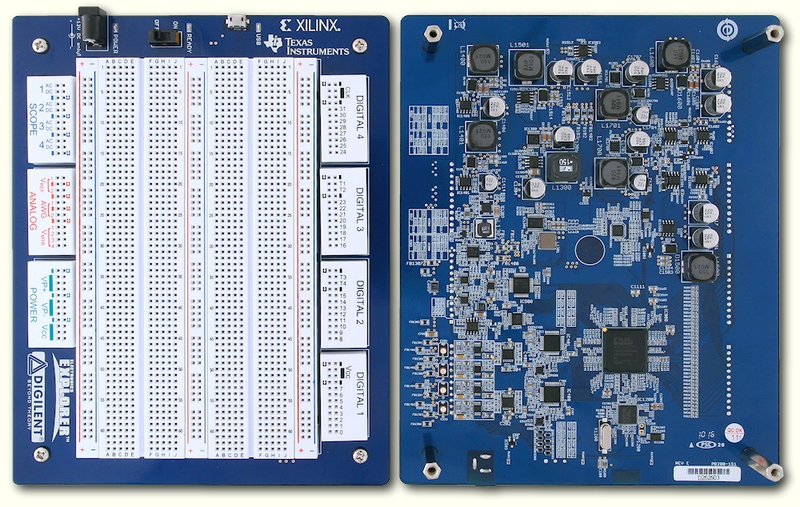 Along with the OpenScope MZ, WaveForms Live is Open Source. This means that any user can go to the Digilent Github, fork WaveForms Live and contribute to its functionality, or use it as a base for their own custom application. 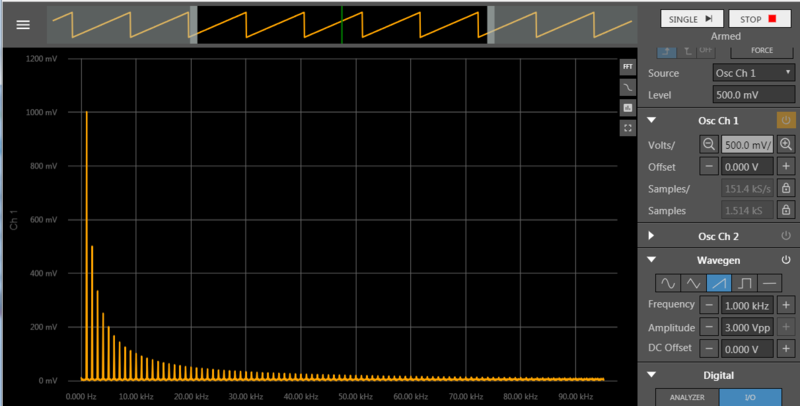 Also available on the Github for WaveForms Live is the issue tracker. If you have a suggestion for a change to the software, you are welcome to post an issue as well as vote on existing issues. Even though WaveForms Live is Open Source, our development team has continued work on it based on customer feedback. Today WaveForms Live 1.3.5 was released, and below I’ll go over some of the changes and improvements that were made. Calibration steps now show an image on how to connect the device wires, and also includes an explanation as to why calibration needs to happen and what is happening during calibration. 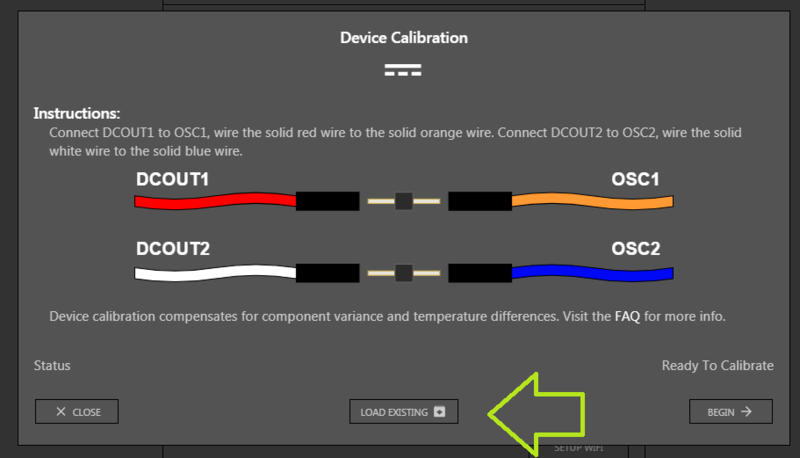 We received feedback that during calibration it can be confusing as to why calibration is necessary, as well as which flywires to connect. The calibration instructions now include a connection diagram and summary of why calibration is necessary. Calibration results and save location are now hidden inside a collapsible section. The calibration results are stored on the flash of the OpenScope MZ as default. The settings to change the save location are now hidden inside a collapsible section. Tooltips now explain why a button is disabled. WaveForms Live has several instruments that are accessed by clicking a button on the instrument panel, including the Data Logger and Bode Plot. If these are disabled because there is no data in the buffer, there is now a tooltip that indicates this. When corrupted data from the device is encountered, possibly due to a slow USB controller, a modal is shown and data acquisition is halted. The OpenScope MZ requires a high-speed USB port. 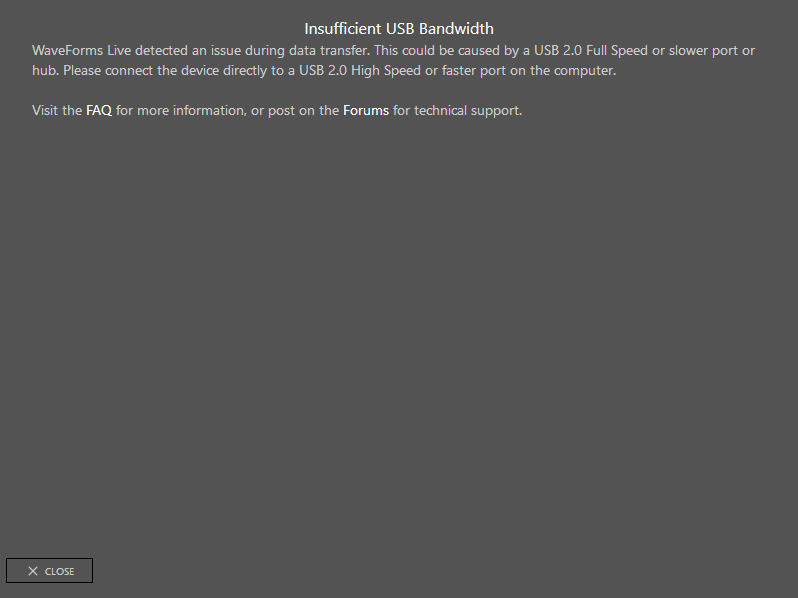 We received feedback that it’s not clear which USB ports are high-speed, so it’s not evident when this is a problem. 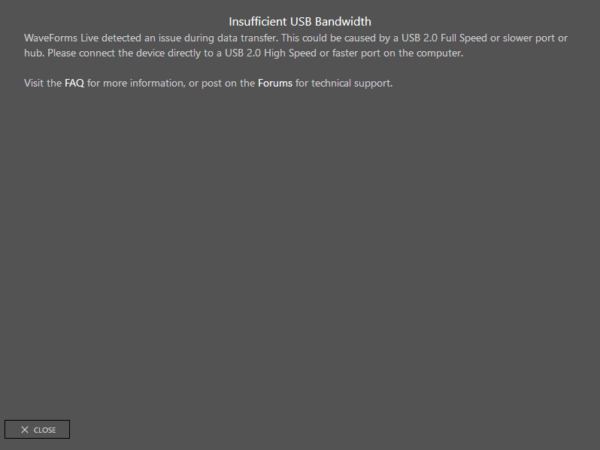 Without a high-speed USB controller, data can be corrupted. If this happens, a pop up indicates that this is the problem. A tooltip was added to the WiFi scan button explaining that the network connection must be dropped in order to scan. 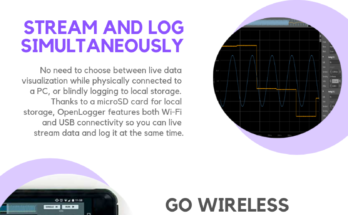 In order to scan for WiFi networks for the OpenScope MZ to connect to, the current network connection must be dropped. 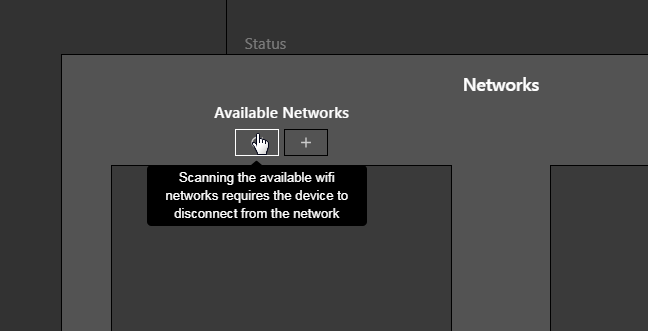 This is now clearly indicated on a tooltip where you scan for WiFi networks. 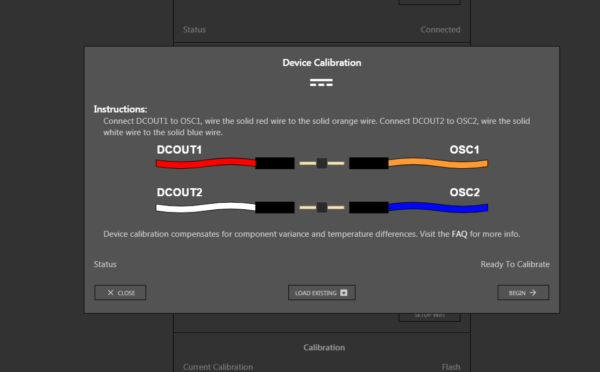 The UI now properly waits for the device to connect to a network or time out, and now enumerates the connection settings in the configurations page after doing so. Previously, the UI gave control back to the user before completing a connection to a network. If the user then closed out of the network selection before it was complete, it would disconnect. Now the interface waits to return to the device to connect to the network before giving control back to the user. Fixed an issue with the WaveGen inputs not responding to keyboard events, or properly handling letter units. If you’d like to try out WaveFormsLive and check out these changes, go to WaveFormsLive.com. And if you’d like to see or fork the source code, head over to its GitHub. You are always welcome to post your technical questions on the Digilent Forum. Previous Article What Does DesignSpark Think of the Digital Discovery? 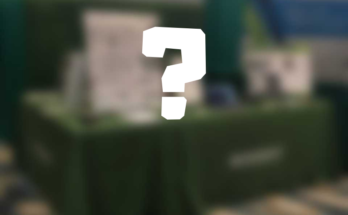 Next Article Digilent is going to Hamvention!